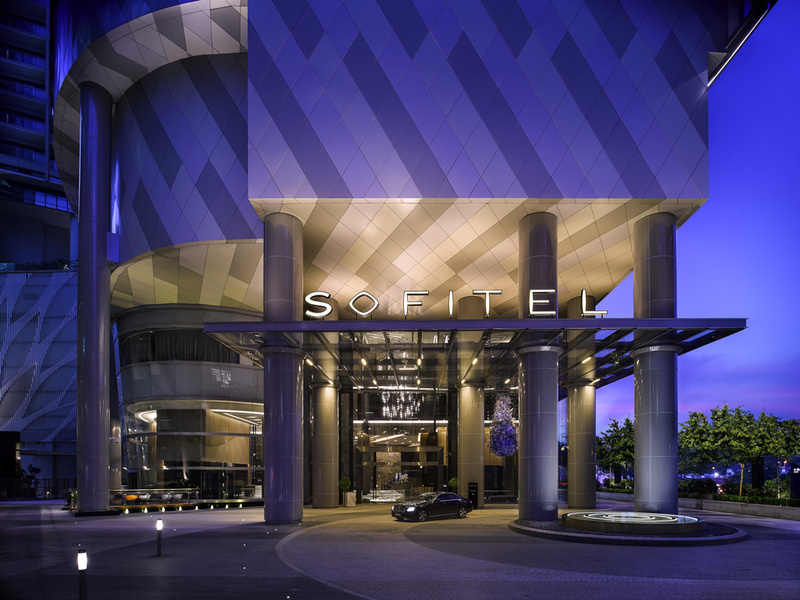 Sofitel Kuala Lumpur Damansara is positioned on Damansara Hills and amongst the very best Kuala Lumpur has to offer. Flanked by the commercial and financial district, and prime shopping areas, this stunning 5-star hotel boasts 312 exquisite rooms and suites with tremendous city views. Modern and opulent, it offers a truly luxurious stay and is located just 60 km from Kuala Lumpur International Airport, within easy walking distance of MRT SBK line. Located in Damansara flanked by the commercial and financial districts, prime shopping areas, with easy access to KLCC, highlighted sights include Petronas Twin Towers, Menara KL Tower and Merdeka square. Five exquisite food & beverage outlets that blends local flavours with French gastronomy. A comprehensive meeting rooms and ballroom with state-of-the-art facilities. 5 minutes' walk to Pusat Bandar Damansara MRT Station with close proximity to KL Sentral. A luxurious 5-star hotel in one of the most affluent neighborhoods in KL, Damansara Heights. Home to the country's first luxury hotel with a spa that offers hammam. Discover the true definition of 5-star luxury in our spacious and elegant rooms. Timeless design blends French sophistication and Malaysian tradition, creating a serene setting for rest and relaxation at the heart of Damansara City. Plush furnishings, including a chaise longue and the iconic Sofitel MyBed, invite you to put your feet up and enjoy all the modern amenities. The large bathroom provides plenty of room for luxuriating with our exclusive French toiletries. Discover all the charm of a Parisian café in Damansara City. Reenergize between business meetings or take a break from the nearby shops at Sofi's Deli, where you can enjoy healthy sandwiches, salads, teas and power juices from lunchtime until 7pm. Enjoy a break from your activities in Kuala Lumpur in Le Bar, ideally situated just steps from Damansara City's office towers and mall. Come here for casual meetings, friendly get-togethers or to simply while away time with a book from our library. At the pool bar you can enjoy fresh handcrafted juices, smothies and creative cocktails, while relaxing in the pool, with light meals available at anytime of the day. الفندق كا تصميم واثاث كان جميل وبالقرب من مول والعاملين ودودين لكن تسجيل الدخول والخروج اخذ وقت طويل جدا العاملين يحتاجون تدريب اكثر تقريبا كل الاشياء اللي طلبتها لم تنفذ المطاعم اللي في الفندق نص المنيو غير موجود اتمنى الاهتمام اكثر وشكرا..